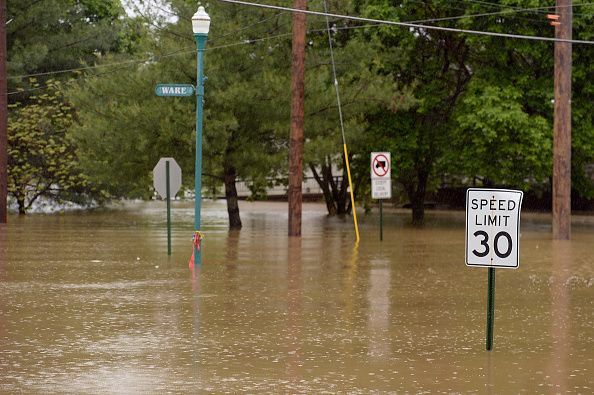 Climate change could be the reason flooding in the Midwest has risen to historic levels, as states such as Nebraska, Iowa and Wisconsin have declared states of emergency. If ocean warming continues, these types of floods and storms will likely get worse. Mann said these kinds of storms will continue to impact the U.S. and cause severe flooding. “This really is the most devastating flooding we've probably ever had in our state's history, from the standpoint of how widespread it is," Nebraska Governor Pete Ricketts told CNN in a statement on Monday. Three people died from the storm, including an 80-year-old woman from Columbus, Nebraska, who was trapped in her home during the flooding, the Omaha-World Herald reported. As of Monday, the National Weather Service said there was still significant flooding. “Historic flooding continues across the Plains and Midwest this week with many rivers at 'major flood' stage. Many roads are closed due to flooding in the region and they're closed for good reason. 50 of all flood deaths are vehicle related. Turn around, don't drown!” the National Weather Service tweeted Monday.